EP 10" vinyl + postcard & stickers , Lim200 copies housed in a foldout sleeve. 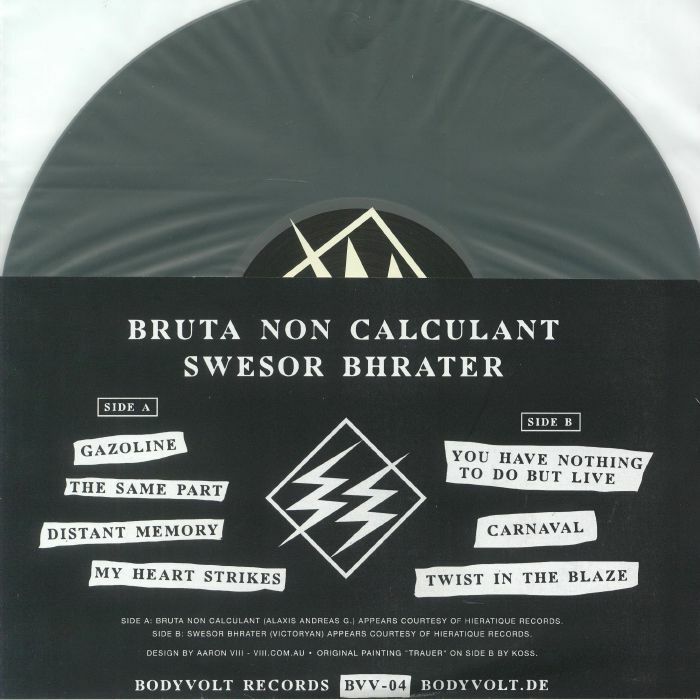 Bruta Non Calculant & Swesor Bhrater appear courtesy of Hieratique Records. 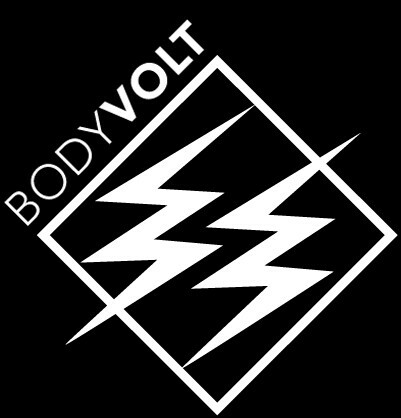 The legendary Beta Evers kickstarted her Bodyvolt imprint back up again in 2015 and has been bringing back the darkness with her Black Spider Clan project, Black Pond (with Jeff Gallea) as well as a great various artists compilation last year. 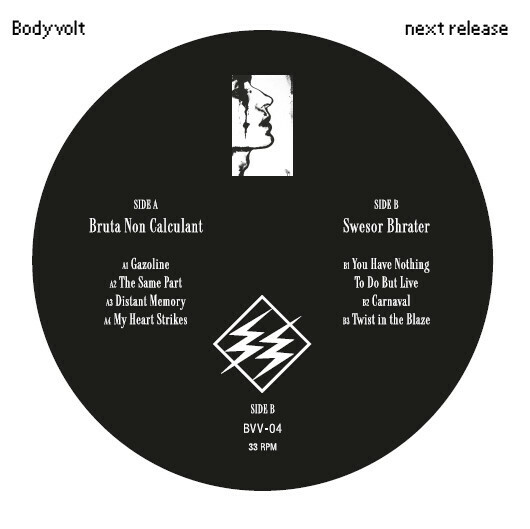 Two of the guests on the comp were Bruta Non Calculant and Swesor Bhrater - two aliases of legendary French producer Alexandre Gand (Le Syndicat Electronique) that make a return on this split EP. As Bruta Non Calculant, Gand explores rusty and guttural industrial/EBM mutations on the A side - the slow burning nightstalker antics of "Gazoline" and the snarling basement groove of "Distant Memory" standing out. On the flip, he explores the same frontiers as legendary New York legends Suicide on attitude driven synth-punk of "Twist In The Blaze" as Swesor Bhrater. Status: Only a few copies available!!! 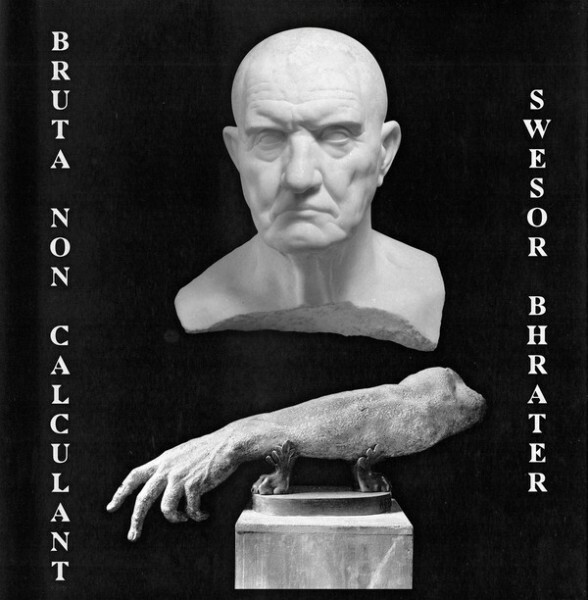 Customer evaluation for "Bruta Non Calculant, Swesor Bhrater ‎- Split EP 10" Lim200 2018"